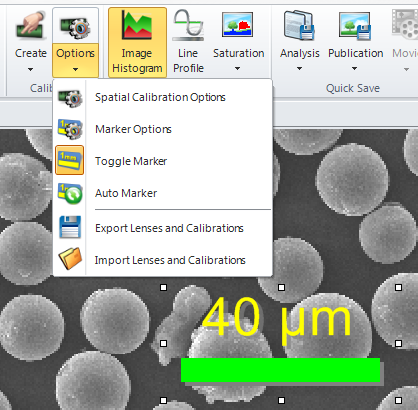 The calibration marker does not appear on my image when I press "Add Marker". Why might this be happening? I can see that the appropriate calibration has been saved with the image since it appears at the bottom of the screen. Any troubleshooting ideas would be appreciated. Thanks!